Buy Vanguard Deckbuilder a Coffee. ko-fi.com/vgdeckbuilder - Ko-fi ❤️ Where creators get paid by fans, with a 'Buy Me a Coffee' button. I created a free online Cardfight! Vanguard deck builder. I develop and maintain this deck builder with no pay at all so that others can enjoy the game more. Help me keep the website running by donating a minimum amount to pay off the monthly hosting. Secured Payments. Support goes to Vanguard Deckbuilder's account. 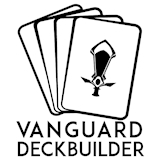 Upgrade Vanguard Deckbuilder to a yearly Gold Membership with a one-time payment.